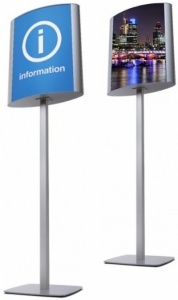 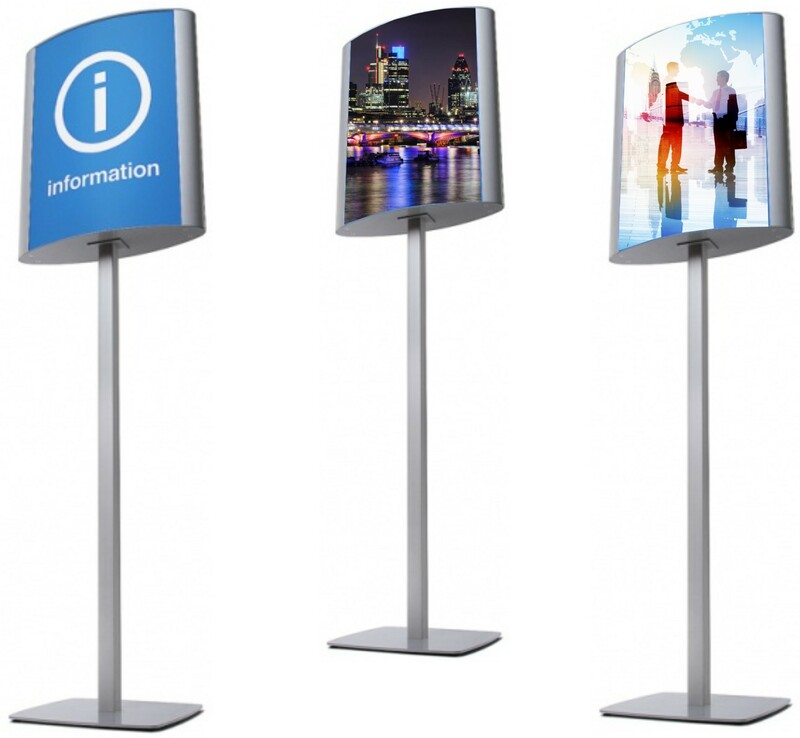 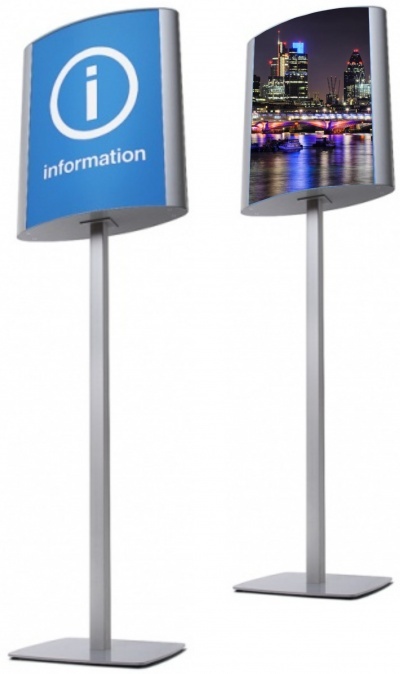 Stylish curved freestanding double sided poster display unit available for A3 and A2 portrait media. 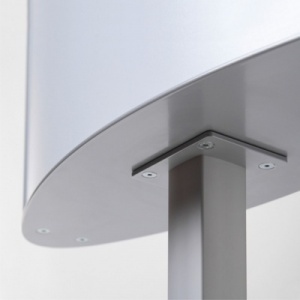 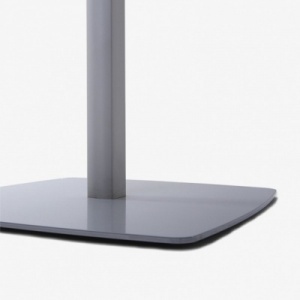 Square vertical post profile with radius edges and a heavy duty silver powder coated steel base plate with rubber feet. 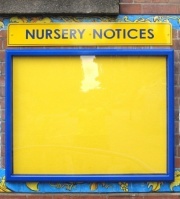 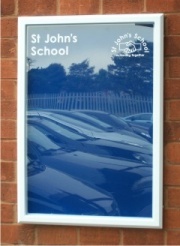 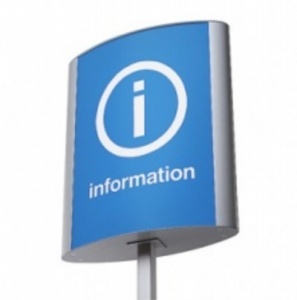 Elliptical aluminium profile supplied with anti-glare protective front poster covers. 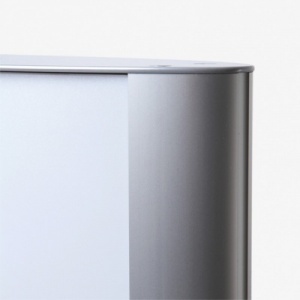 Media is easily changed with opening side profiles.